No, that's not the whole thing. Click here for the comic. Hehe, so awesome! 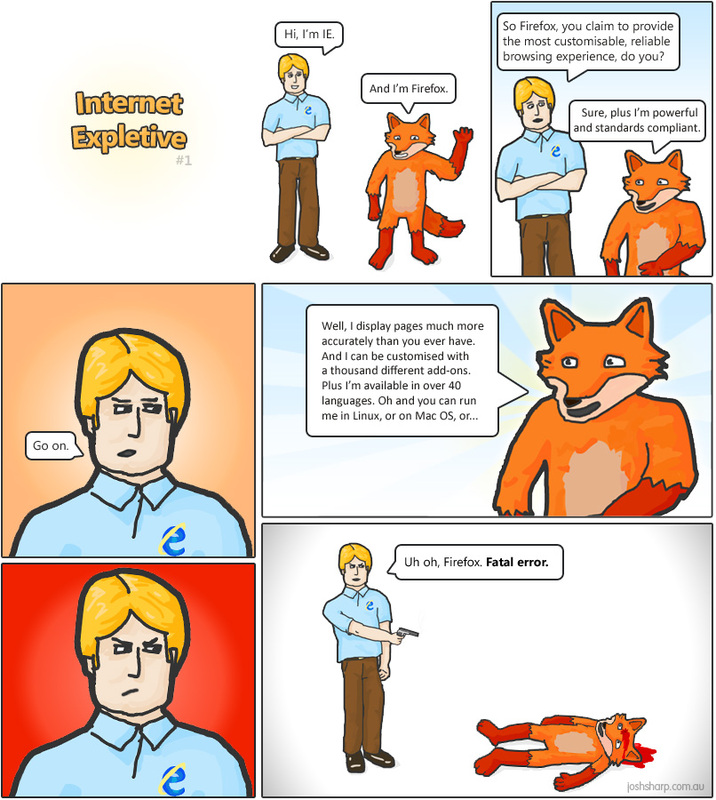 You guys know that I love Firefox anyway, so this made me giggle even more. HAHAHA!!! Even though I push fashion, I am a total computer geek at heart. 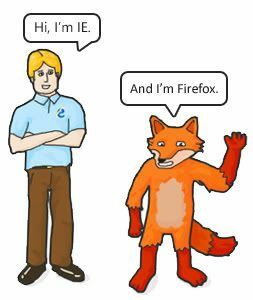 I too, LOVE Firefox and curse IE. The other day when someone mentioned my website was a bit off in IE I cursed them and did nothing about it. Hey, thanks for linking to my comic :) glad you liked it. Check back for more soon!